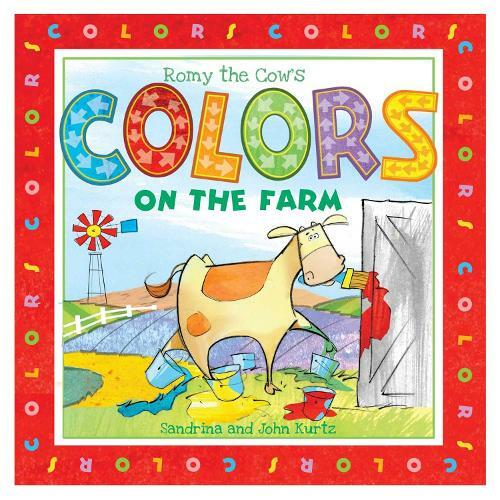 In Romy the Cow's Colors on the Farm, Romy and her friends teach your children all the world's delightful colors in various scenes from the farm. With beautiful, easy-to-follow, full-color illustrations, Romy makes learning as simple as pie! This bright and vibrant journey-with a cute cast of farm favorites such as horses, pigs, goats, sheep, chickens, and more-makes learning so much fun. Each spread within this book includes a traceable image with directive arrows to point you in the right way. Sturdy board pages make Romy a great gift as well.